W.C. Handy, the Father of the Blues, in 1941. From the 1890s to the 1910s, the world changed. A new era was sweeping the nation, the age of ragtime and the blues. As the popularity of this music skyrocketed, people all over America demanded to hear and dance to the music that before had only been available in regional enclaves like St. Louis, New Orleans, and Memphis. Sensing a money-making opportunity, musicians began to compose and play (and sell) what the public wanted to hear. The first musician to leap into commercialization of the blues was W.C. Handy, and his “Memphis Blues” is credited with inspiring the dance known as the foxtrot. Mr. and Mrs. Castle dancing. Meet Vernon and Irene Castle, a husband-and-wife dance team at the turn of the century. Through their hard work and numerous performances, they popularized social dancing and brought it from ballrooms into public venues. Needless to say, they were a big deal. As Handy recounts in his 1941 autobiography, Father of the Blues, their music director James Reese Europe played the slow “Memphis Blues” between faster dances (like the One-Step) to give the famous Castles a break. Falling in love with the rhythm, the couple decided to create a dance to go with the music. Following the contemporary craze of naming dances after animals (check out the Grizzly Bear, Turkey Trot, and Camel Walk), they originally called their dance the Bunny Hug but later changed the name to the foxtrot. Maybe like me you assumed that the foxtrot has been around for a very long time. After all, the dance is included with the waltz, tango, and Viennese waltz in the American Smooth category of competitive dancing. But, like with the origins of the blues (while it is a descendent of centuries of African-American music, it is not itself an old genre), you cannot make assumptions about the history of a dance or a musical genre, lest we miss interesting connections like this one. Armed with this knowledge, take a listen to Handy’s “Memphis Blues” and, if you know it, throw in a little foxtrot. 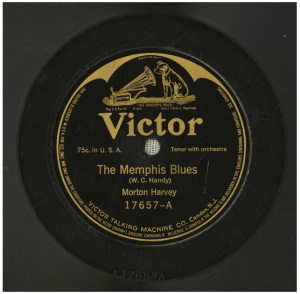 Click the image to listen to Morton Harvey’s 1914 recording of “Memphis Blues” at the Library of Congress’s National Jukebox. Handy, W.C. Father of the Blues: An Autobiography. London: Sidgwick and Jackson, 1957. Handy, W.C. “The Memphis Blues.” Morton Harvey, tenor. Victor 17657, 1914. Library of Congress National Jukebox, http://www.loc.gov/jukebox/recordings/detail/id/117/ (accessed March 3, 2014). Johnston, Frances Benjamin. 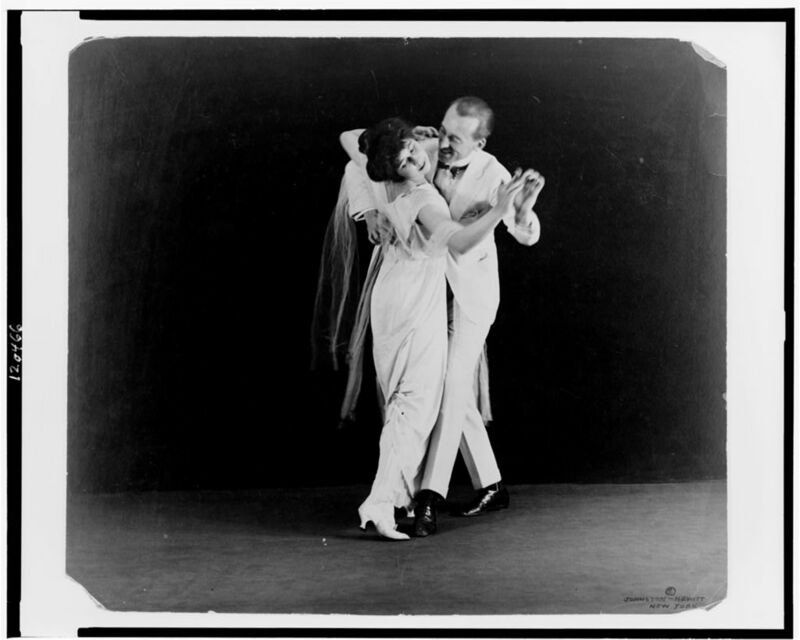 [Irene and Vernon Castle, full-length, in dancing position]. Between 1910 and 1918. Library of Congress Prints and Photographs Online Catalog, http://www.loc.gov/pictures/item/98506505/ (accessed March 3, 2014). Van Vechten, Carl. 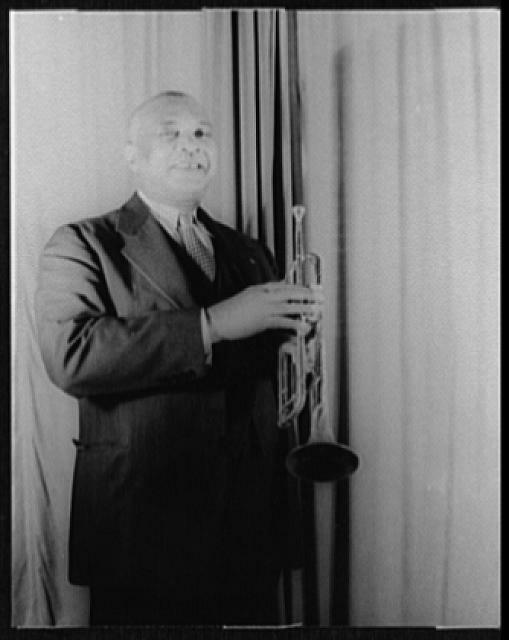 [Portrait of William Christopher Handy]. July 17, 1941. Library of Congress Prints and Photographs Online Catalog, http://www.loc.gov/pictures/item/2004662979/ (accessed March 3, 2014).